It's been totally unbearably hot in SoCal lately. As a winter baby I really don't appreciate Mr. Sun shining down on me trying to see if I'll melt. 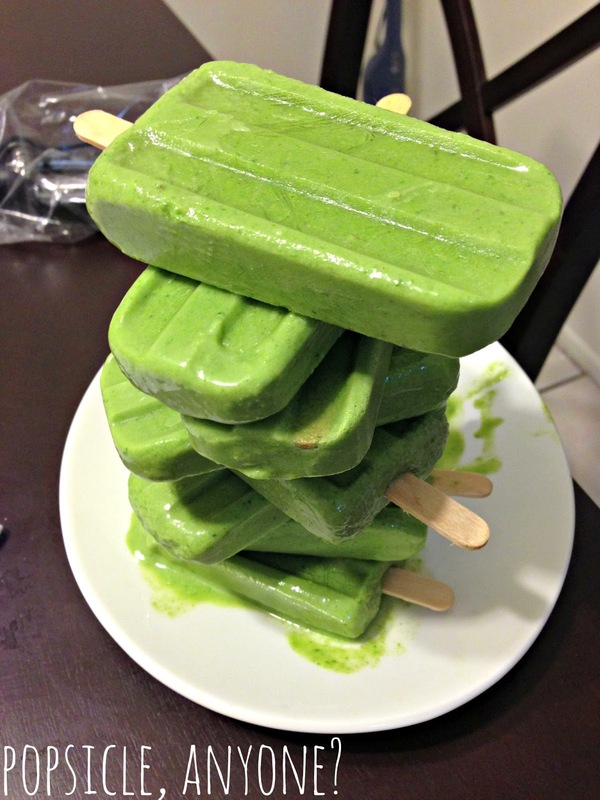 In an attempt to find a fun way to cool down I saw an amazing popsicle recipe by my favorite food blogger, the amazingly talented Joy the Baker. I was inspired by her gorgeous popsicles and thought, "Hey! If I had one of those fancy molds I could make some pretty awesome popsicles too!" 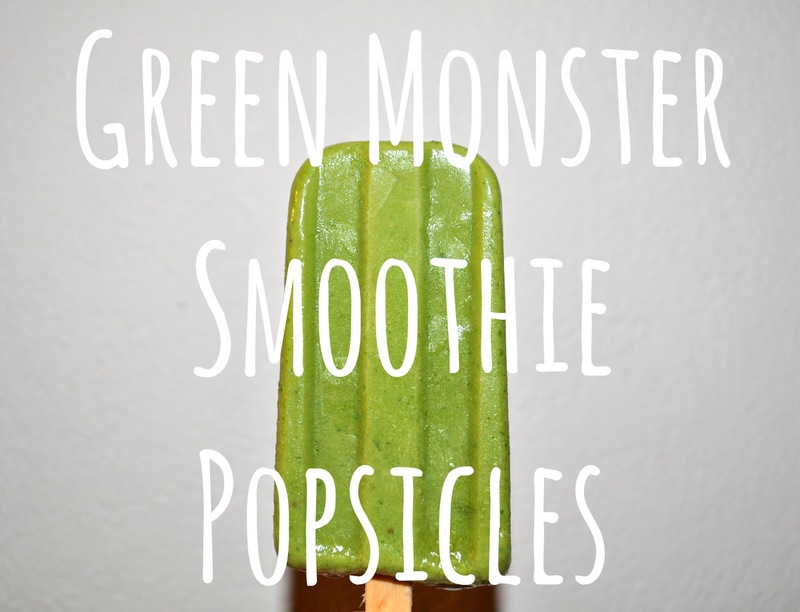 And thus, we have these Green Monster Smoothie Popsicles! A favorite smoothie of mine, this power drink packs a ton of vitamins, protein, fiber and greens into a smoothie that's ridiculously delicious. Plus, I love the look that people give you when they see you sipping on an avocado green colored smoothie. The best part is, this smoothie tastes just like a peanut butter and banana shake! You can't even taste the spinach! These popsicles are a great healthy way to stay cool without messing up your summer diet. 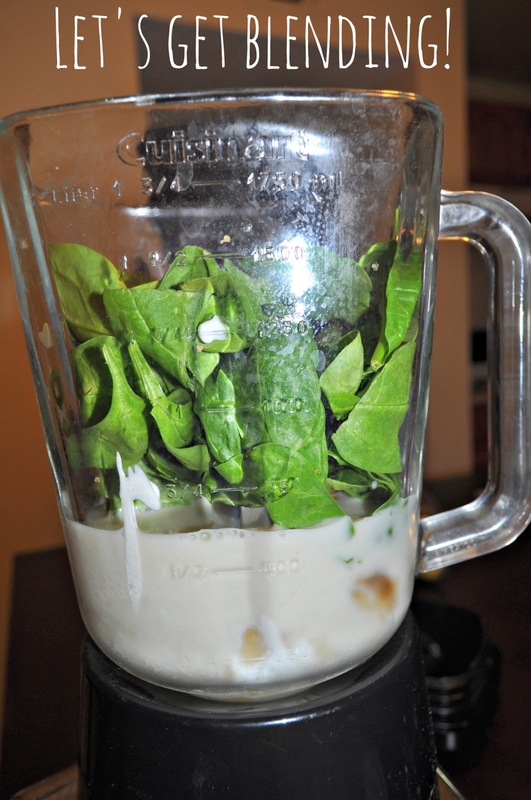 Chobani Greek Yogurt, Silk Almond Milk, Frozen Bananas, Spinach & Peanut Butter. That's all you need to create these frozen treats! Making these popsicles is simple and quick! It's just waiting for them to freeze that's the hardest. Basically you just make the Green Monster Smoothie and pour it into your popsicle mold and voila! Any popsicle mold will do but I really love this one. It was about $20 on Amazon and makes popsicles in that classic shape! After everything is poured, the lid is on and the sticks are in, pop your pops into the freezer for a minimum of 6 hours, but if you have the patience to wait overnight it'll be worth it. Pour smoothie into the popsicle mold. Cover mold with top and insert popsicle sticks a little over halfway in. Set filled mold in freezer and let freeze overnight. Run warm water over the top of the popsicle mold to help loosen the frozen pops. Pop them out and enjoy! Wondering what this would taste like without the peanut butter. Without that, this would be right up my alley! This looks so good! Can't wait to try them! I had never thought of turning a smoothie into a popsicle!... great idea!